My sincere apologies to all for not updating this page sooner. 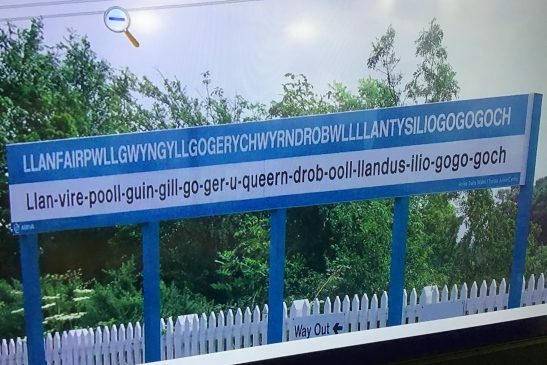 As you read down, you’ll understand why. We haven’t had two minutes to breathe during this term! 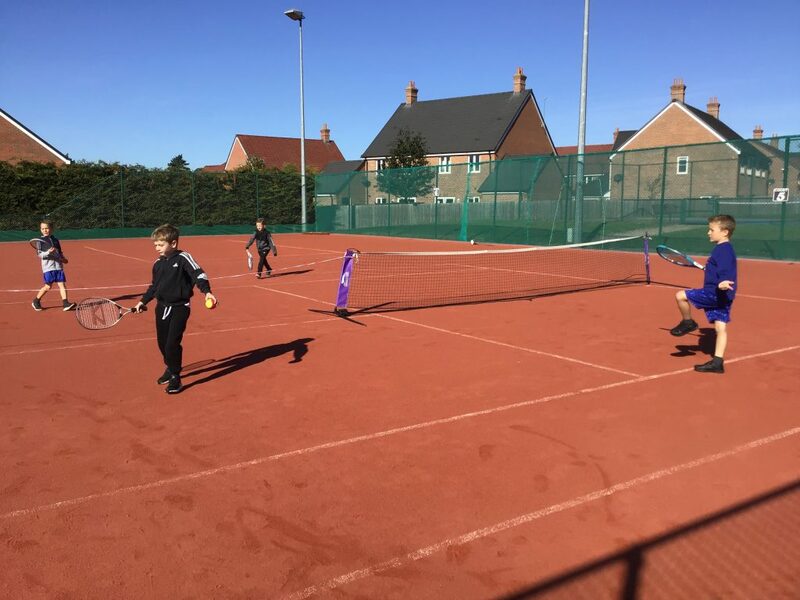 Your children continue to take it all in their stride and enjoy every minute of our wonderfully enriched curriculum. So, let’s take you back to the beginning of this term (wc Monday 25th February). 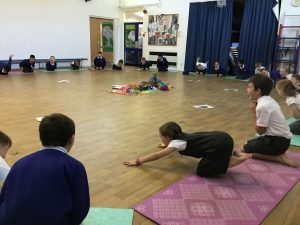 This was the week that we, in Year 3, began swimming. This, rightly so, was an incredibly big deal for lots of us. Most of us had never been swimming without our parents before, so this was both exciting and a bit scary. We took the opportunity to discuss our fears and worries as part of our continuing Mental Health Awareness. We talked about how a little thing can feel huge until we break down each part and decide whether we need to worry about it or not. To support some of those who were slightly less confident I joined them in the pool and have continued to do so for the entire time. I am hoping that their confidence will be such that I can leave them for their last turn next week on their own. (However, if this is not the case, I shall get in as usual). 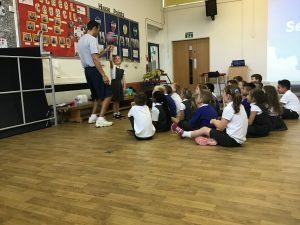 The beginning of the following week started with a fantastic chance to try out a Gymnastic Taster session. 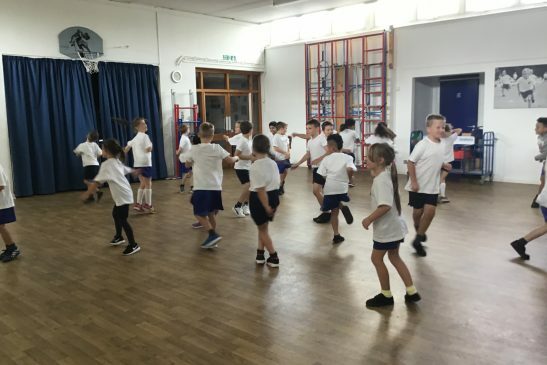 These were greatly enjoyed by all as the teacher has worked in a circus and has been involved in Parkour Running, much to everyone’s delight. I believe there are still places available if you would like your child to take part. Then we had World Book Day, the perfect day in our pyjamas. For the day, we adopted the DEAR system – Drop Everything And Read. This was a huge success and all the class enjoyed just picking up a book and reading whenever the bell rang. I particularly enjoyed this time as I was also able to read a book which I’ve had for a while and not had time to read – the perfect excuse! 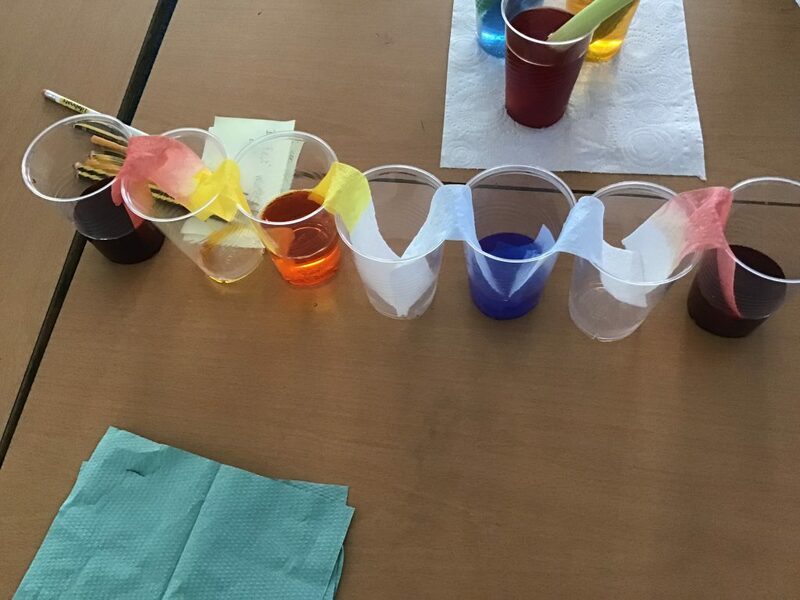 We continued our crazy busy time into the next week beginning with a Scientist visiting on Monday 11th March. The children loved the experiments he showed us in our whole school assembly. When he visited our classroom, we discovered how optical illusions are just a way of confusing our eyes and brain into seeing things that may or may not really be there. 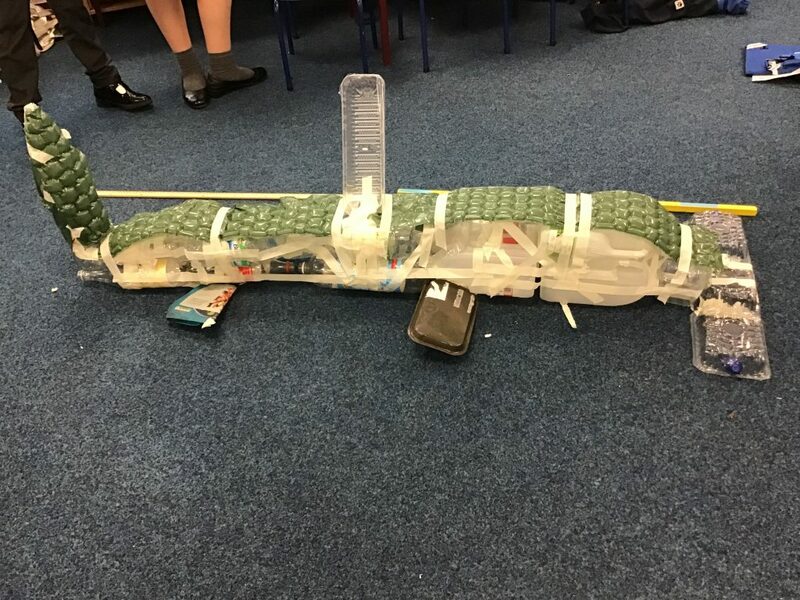 This inspired us to carry out our own experiments, which I know that many of you came to see during our Science Fayre on Wednesday 13th March. 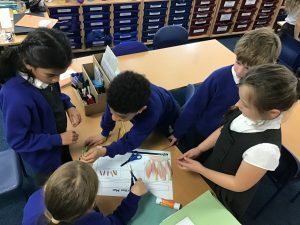 We managed to make paperclips float – even though we watched them sink initially. Our ‘sound cups’ made a slightly rude noise but we learned that this was all down to the vibration of the wool being enhanced in the cup. We floated paper flowers in a makeshift pond in our classroom and watched how their petals ‘magically’ opened. 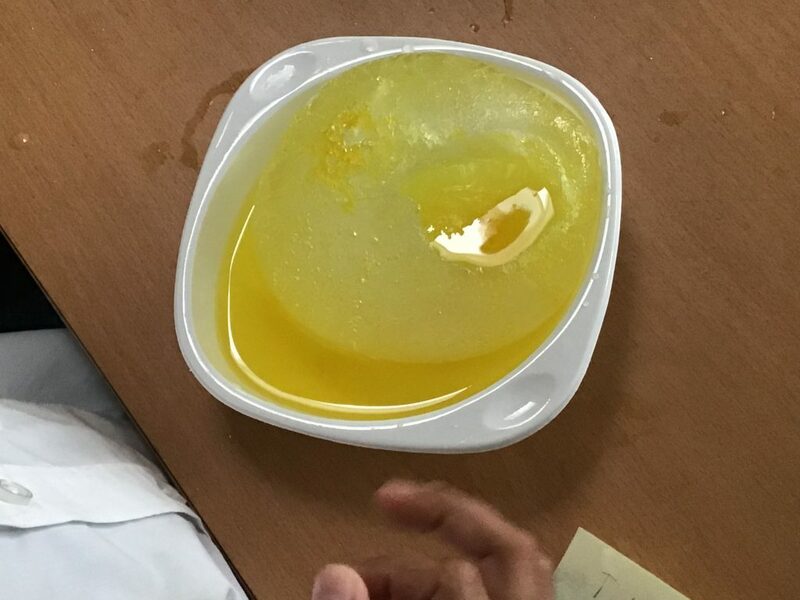 One of the experiments we found particularly exciting was that of the floating egg. 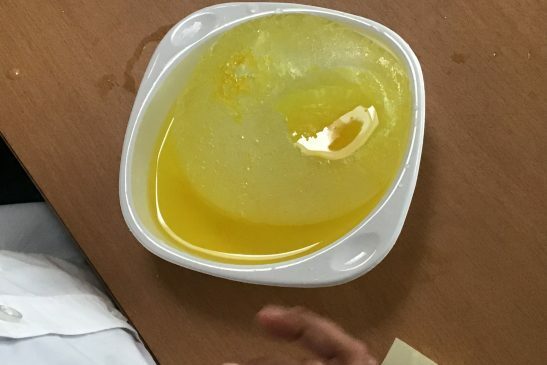 This led us onto looking at video clips of the Dead Sea, where we discovered that the amount of salt in water has a direct effect on how objects, including humans, are able to float. This brings us nearly up to date. Friday 15th March was probably the strangest day at school, I’ve ever seen! The whole school spent the day rocking out to our times tables. Everyone was dressed suitably oddly! And, as if this wasn’t enough we spent last week being HAPPY! Not that we’re not happy in Year 3 all the time but as it was National Happy Week, we made an extra special effort. 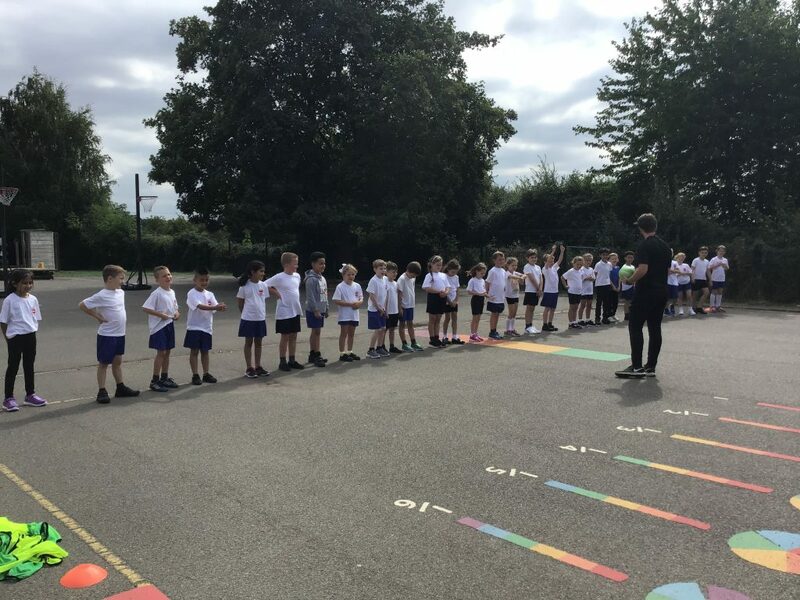 This culminated in a whole school Conga Line on Friday 22nd March. Sadly the video I took is too large to upload but rest assured there were plenty of laughs! 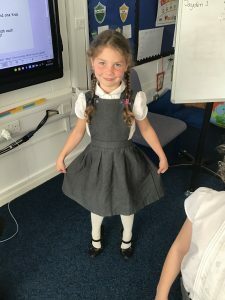 So, there we have it, a brief look through the eyes of Year 3 over the last few weeks. We’re now into the final ten working days of this term, which seems utterly incredible. We have still to finish our Mayan topic, with a tasting session this Thursday afternoon along with our two final swimming sessions. 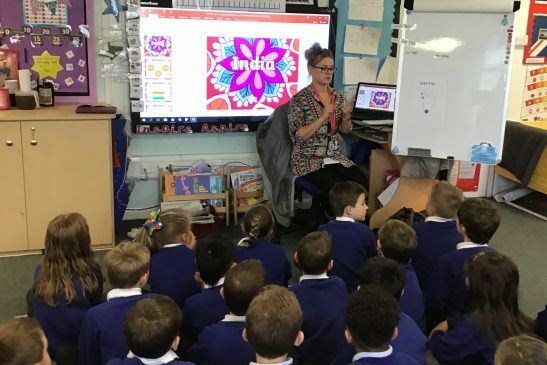 We also have mufti day this Friday (Friday 29th March) to bring in some chocolate ready for our Chocolate Bingo Evening in April – something I am very much looking forward to! And, of course, Parents evenings. I am really looking forward to seeing you all again next week. Once again, please accept my apologies for the delay in updating you all but as you can see, it’s definitely been a busy term. Another Friday, and, in this case, another term ended! This one has flown by. So proud of all the children, embracing the Times Tables Rockstars Challenges, completing assessments without a moan (well, maybe a small one or two). Coping with lots of work and different adults in the classroom. Today, was a fabulous end to the term. We spent a few minutes after lunch blowing bubbles. 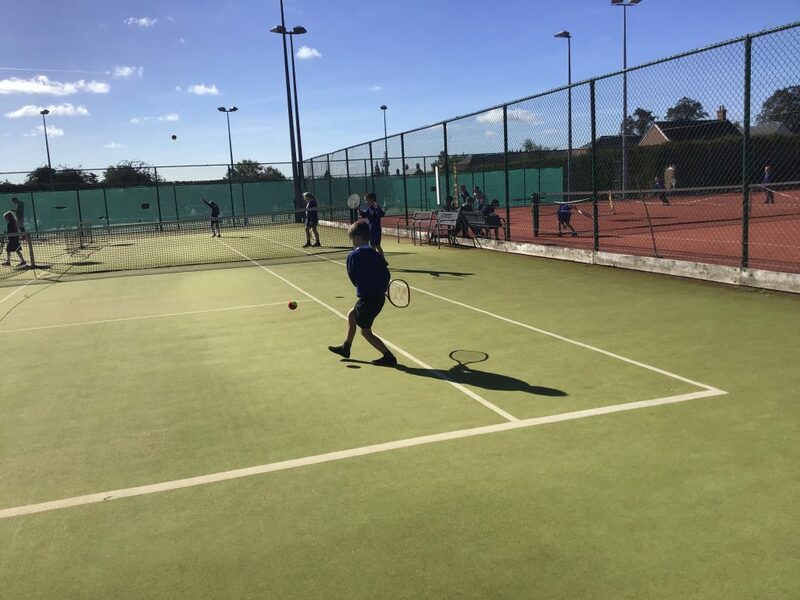 This was to join in with Northamptonshire County Council’s Mental Health Awareness Day. The significance of the bubbles was to ‘blow our troubles and worries away’. 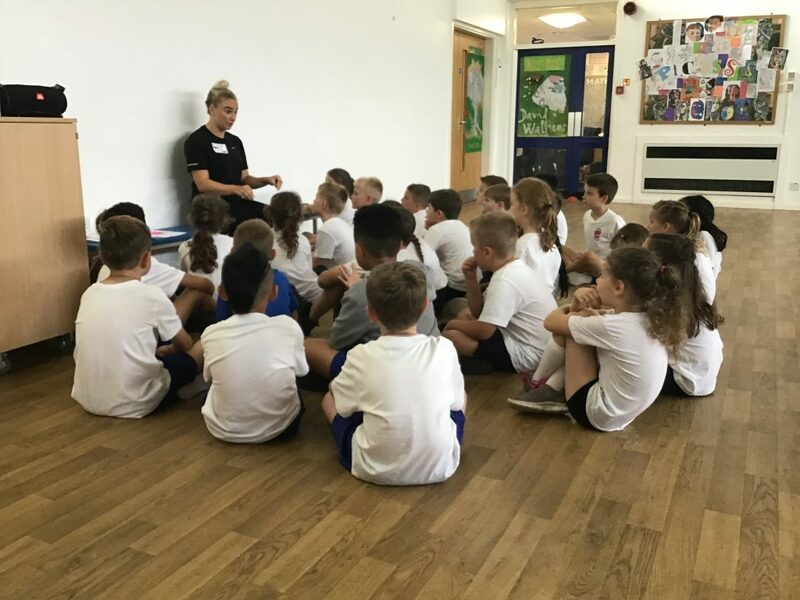 The children had a fabulous time and having discussed the importance of sharing our worries, they also understood the message behind it. 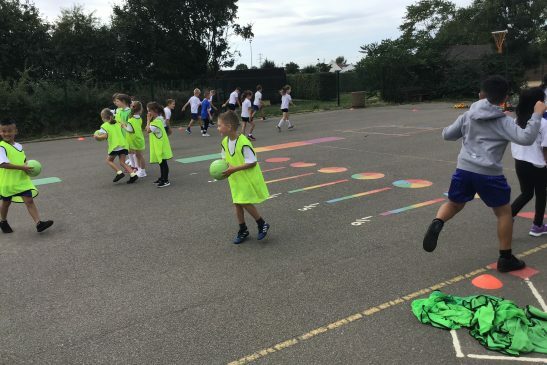 Your children were also fantastic sports today, as, in preparation for our new English topic of writing a balanced argument, I had asked Mrs Oldham to help me in playing a little trick on them to fire them up to feel passionate enough to write. 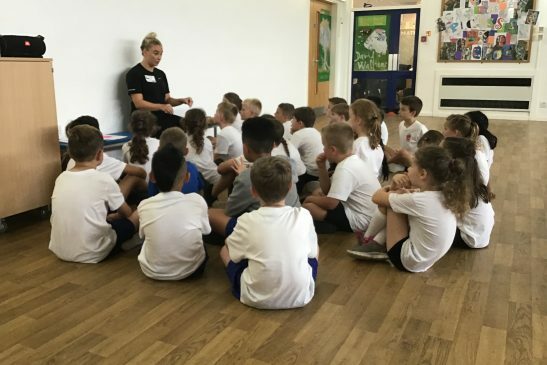 Therefore, she came in to tell them that from next term we were going to run a trial of (just Year 3) staying a school until 5pm. As you can imagine, they put forward a lot of reasons why this should not happen, however, I was very surprised that they also came up with an equal amount of positives as well! 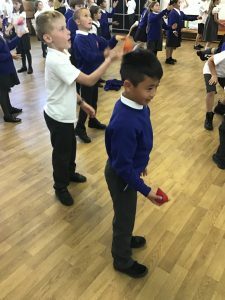 They were told within about an hour about the trick and rewarded handsomely with ten house points each for being such good sports. Don’t forget to practise all the usual things over half term; spellings, times tables and keep up with your Reading Challenge. And finally, I would like to wish you all a happy, safe and, hopefully, dry and sunny half term. I hope you are lucky enough to spend time together as a family in the fresh air and have fun!! Finally, I’ve got my breath back from last week! What an incredible week. As you may have heard (they keep talking about it!) we went to Cadbury World last Wednesday. It already feels like a lifetime ago as we’ve done so much since. 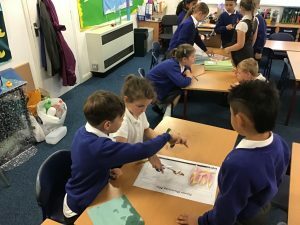 All the children had a fabulous time and hopefully, we can bring some of what they learned into the classroom to marry up with our topic. The previous week we had begun to make an Mayan event mask. Now that they are dry, we shall endeavour to begin decorating them this week. 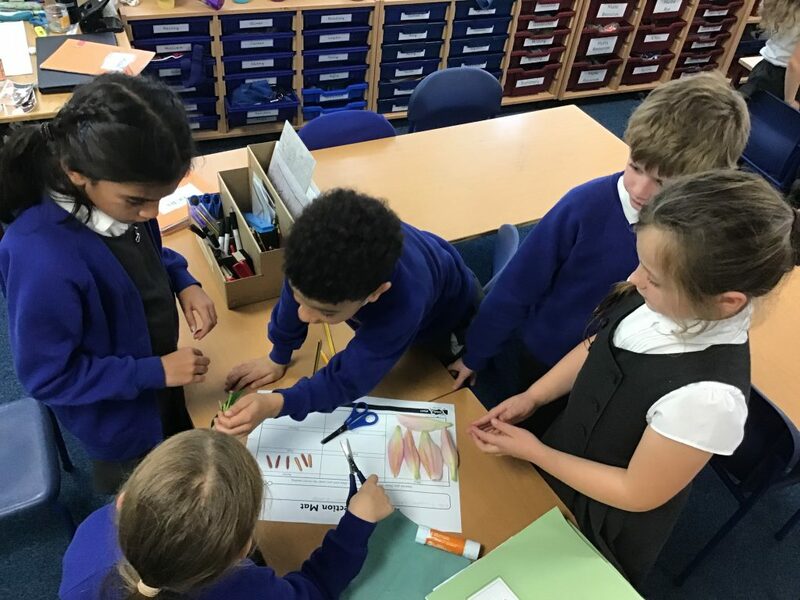 English is progressing well, with us beginning to innovate the story of ‘The Papaya that Spoke’ this week, culminating in our own version next week. Maths has been tricky. We have been multiplying and dividing by 3’s, 4’sand 8’s. This will soon lead into multiplying by single and two-digit numbers. 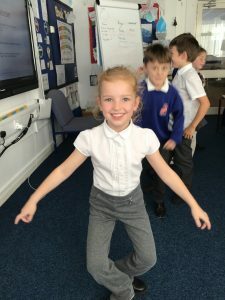 Can I ask for your continued support in encouraging your child to take part in the RockStars Timestables challenges online (if their password has been mislaid, please ask, as i can always re-issue). 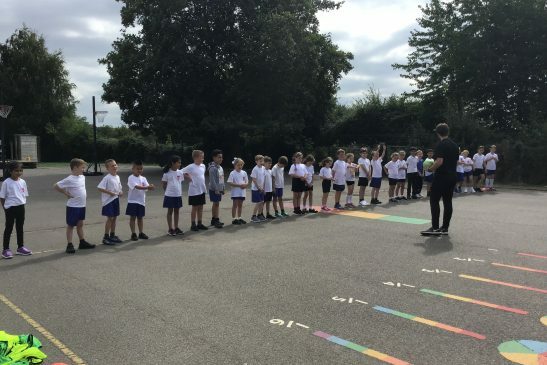 Last week Mr Evans challenged Year 3 against Year 4, which we sadly did not win, so the children are very keen to win the next challenge…watch this space for what and when that is! I hope that you all had a Happy New Year. 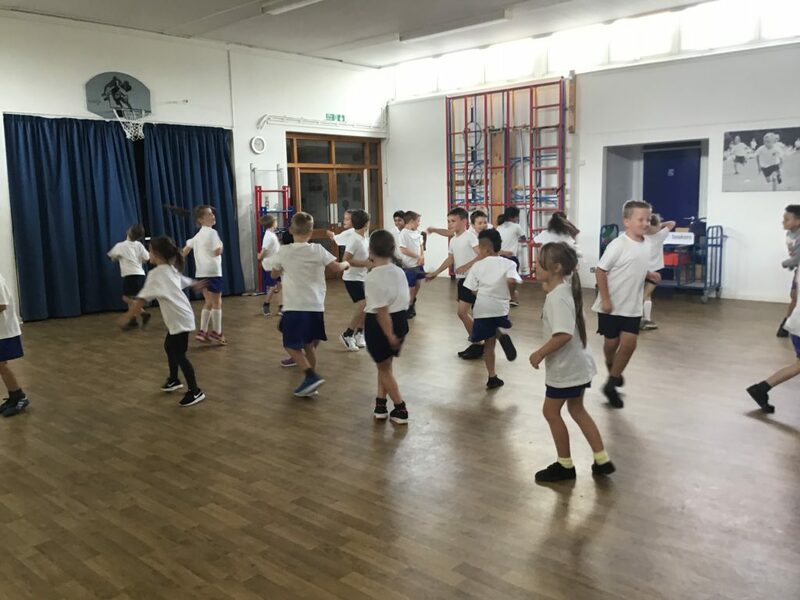 We’re beginning to feel more healthy in Year 3 now. Fingers crossed that ‘The Beast from the East’ is only a brief spell. During our first week we have created some beautiful artwork using Talk4Art. Mrs Nairn (Year 3’s resident artist) explained and demonstrated how to sketch a piece of fruit, in our case a tomato. 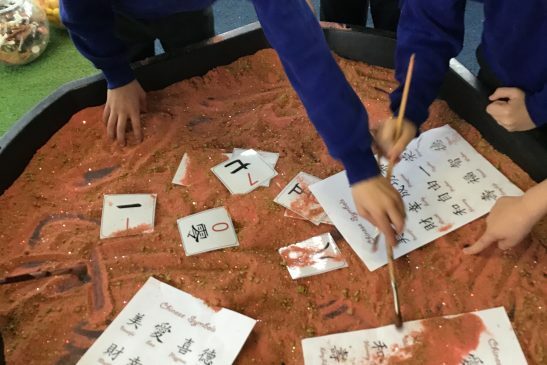 The children used this information to draw for themselves. Then, following this, they chose another piece of fruit, produce or vegetable to sketch, using the skills they had learned. 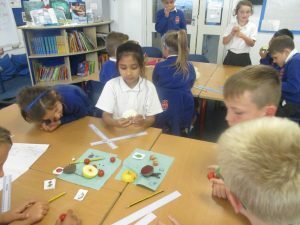 All the food was linked to our new topic of Aztecs and Mayans as they were all grown and eaten by them. The results were incredible. You should now have received your newsletter and homework grid for this term. Can I please amend the general newsletter you received stating that our class assembly would be next week. This is not the case, it has change to Monday 18th March at 2:45. My apologies for any inconvenience this may have caused. We have begun our new story, ‘The Papaya that Spoke’. Below is an image of one of the children’s story maps. See if your child can tell you the story. In Maths we are now working on multiplication and division, starting with 3’s, moving to 4’s and 8’s. this is in addition to the normal timestables that your child is working on each week. So, that’s it. Another year done. When we return to school on Thursday it will be a whirlwind of learning! Lots to get done before the February half term. I hope everyone has had a good rest and are ready to crack on with 2019! Happy New Year to you all – I hope that it is filled with good health, happiness, laughter, fun and lots of exciting learning. See you soon! That’s it Year 3. The final full week of 2018 is complete, and what a week it was! 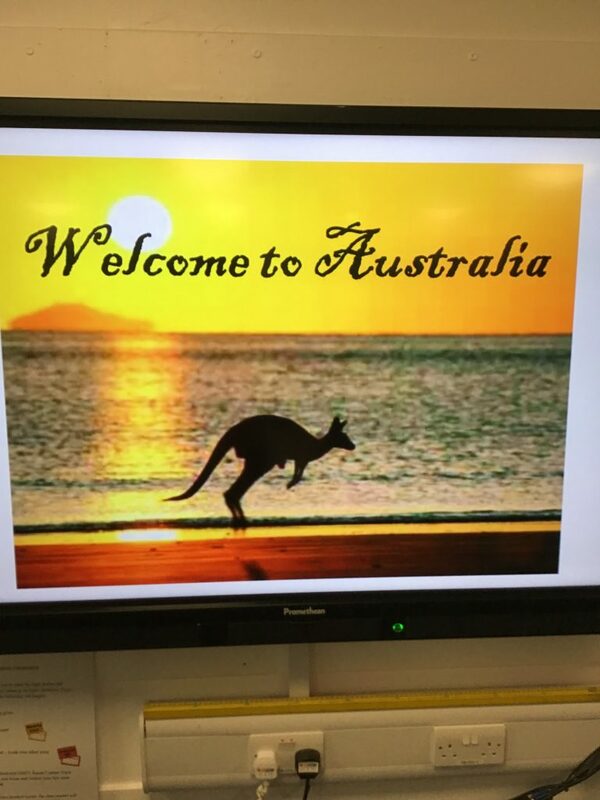 We started the week with the most incredible journey ‘Around the World’ for our week to wow. 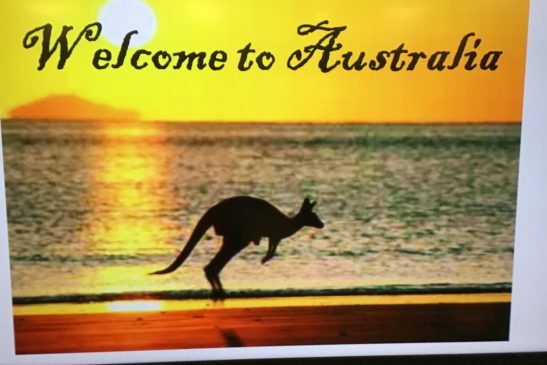 We visited; Italy, Wales, Iceland, China, India, Denmark and finally touched down in Australia. 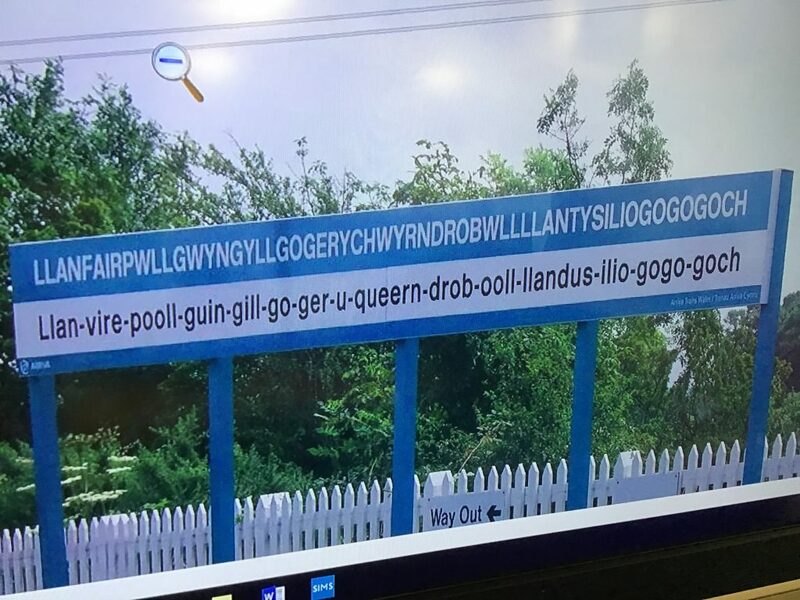 It was a whistle-stop tour, but we still had time to make imaginary pizzas, look at the UK’s longest train station name, create own our volcano, have a sip of Chai tea, try to solve a fiendishly difficult Lego puzzle. 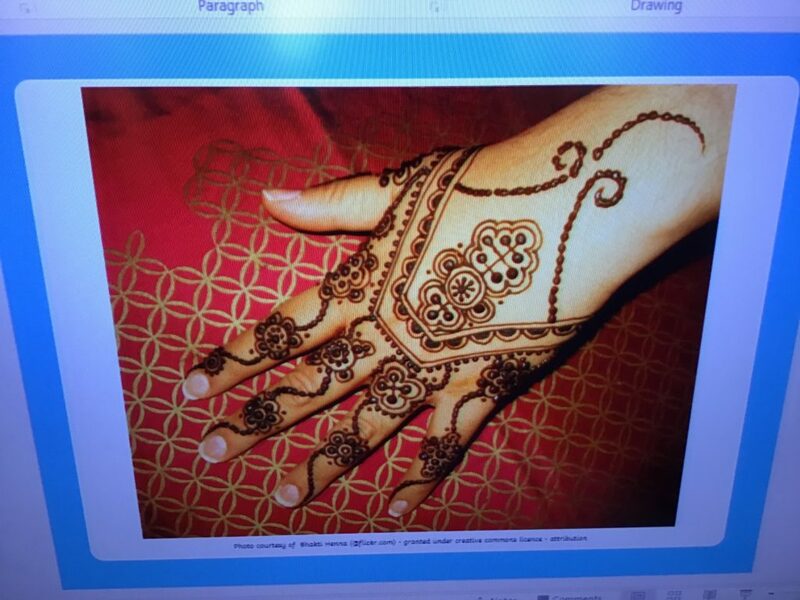 we also managed to make the most beautiful lanterns, design a henna pattern for our hands and learn about some unusual animals. We rounded off our week with a visit to the Church, which was fantastic, really kicking off that Christmas spirit with singing with the community. I would like a special mention to go to those children who had spent five weeks giving up some of their lunchtime to learn how to use British Sign Language to ‘sing’ Silent Night and Away in a Manger. It really only equates to around an hour and half to two hours practice and for those who saw it I’m sure you were suitably impressed. Finally, the time came this week, to create our own water cycle models. This has been eagerly awaited for some while now! Unfortunately, I was unaware of the Christmas Fair, so having told the children that grown ups could pop in and see the models had to then break the sad news that this was not possible. However, we took lots of photographs and below are just a little selection. Ask your children if they can explain which order the follow terms should be in, and what each word means. we have talked a lot about them over the last few weeks. Precipitation, Accumulation, Condensation and Evaporation…..? Not just another week this time, but a whole month! This week has been just as busy. We have been consolidating our understanding of patterns in numbers. 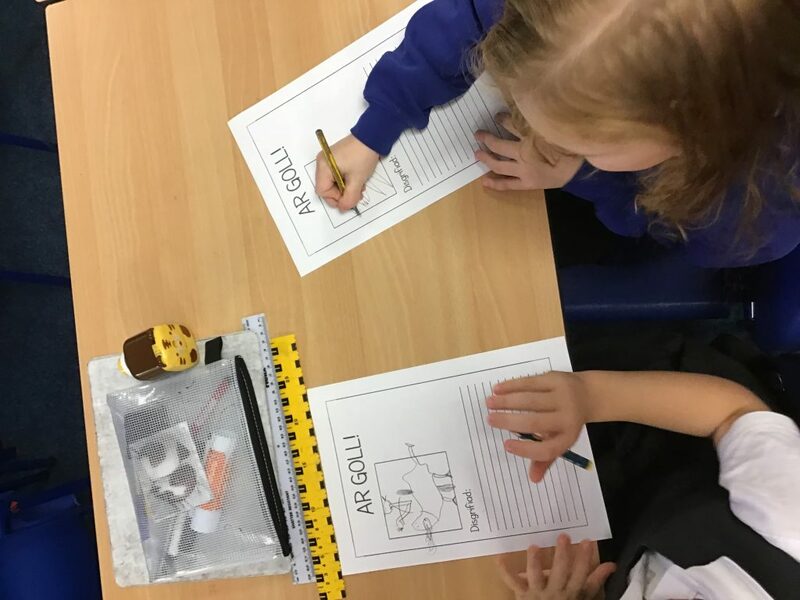 In Literacy we are beginning to write our own version of our class story. 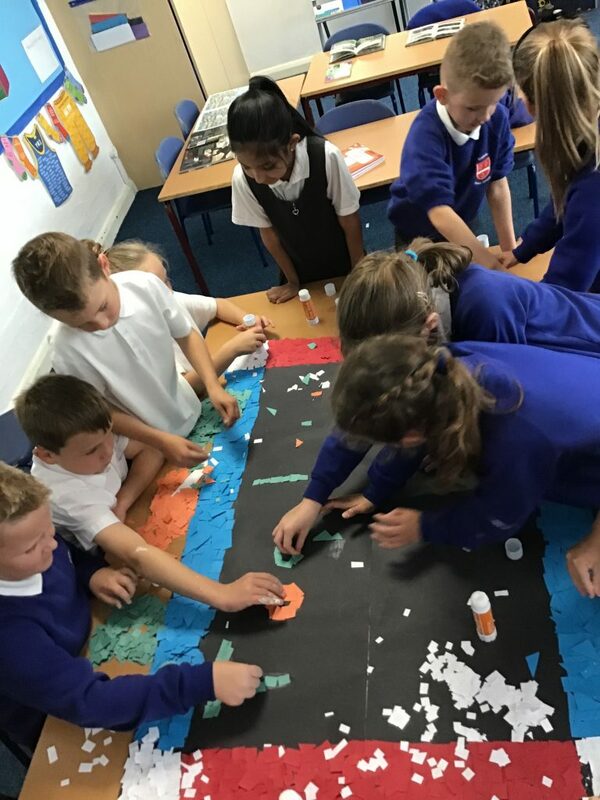 This afternoon we made notes as Mrs Murphy made a working model of the water cycle, in preparation of building one ourselves on Monday – fingers crossed that it will work! (And Mrs Murphy has promised to remember to take photos of this, as she always forgets). 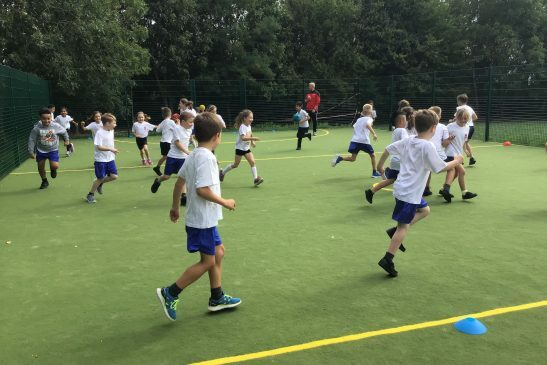 A special note – Can I please ask that you make sure your child has a warm PE kit (joggers, sweatshirt etc) as we will continue to do PE outside whenever the weather allows. 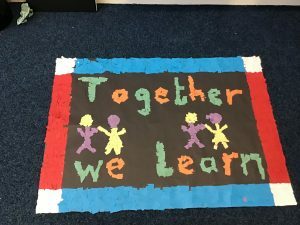 This means that we all need to wrap up warm, as only torrential rain or ice on the ground will stop us – we’re a tough lot in Year 3. Another week gone, they are just flying by! 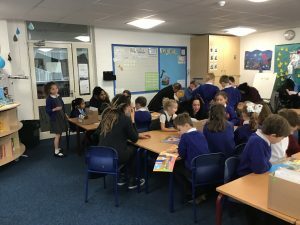 Thank you again to all the parents who attended our Book and Biscuit on Wednesday, it is so well supported and the children love you being there, so thank you. 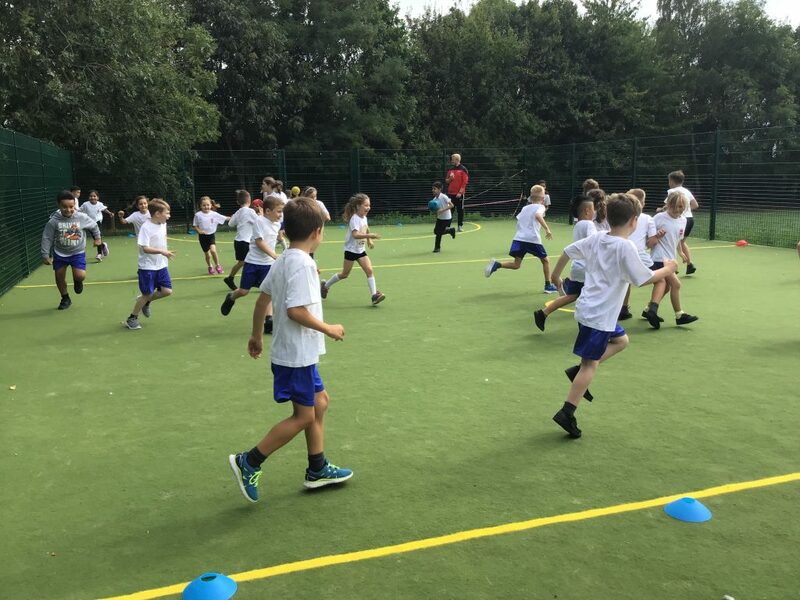 Just a note to say that this week coming (Wednesday 28th November) there will not be a Book and Biscuit as some of Year 3 (including myself and Mrs Nairn) will be leaving early to go cross country running! 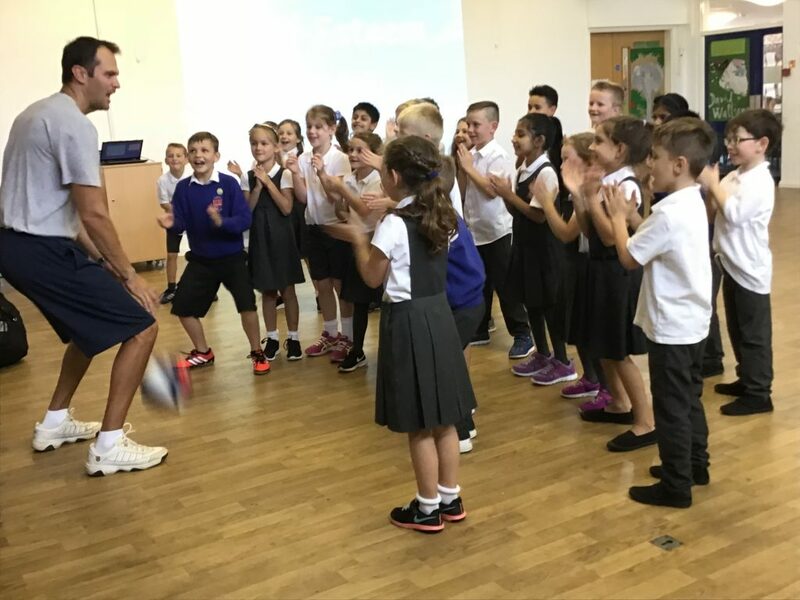 We also had a visit from the Rock Steady musician, who was giving a taster session to encourage children to take part in the activity. We had lots of fun, which can be seen in the photos below. This week has seen us carrying out our normal end of term 1 assessments. 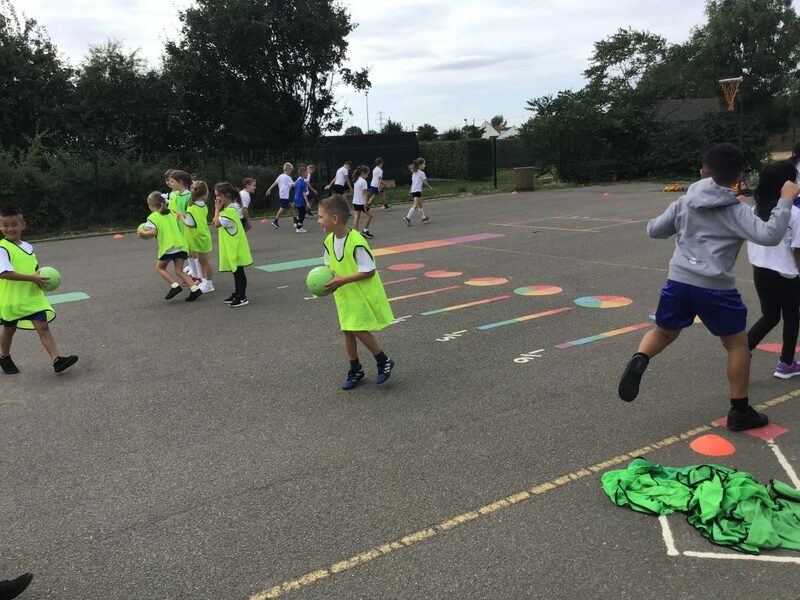 During this time, the children showed great determination and tried their hardest to show off all the skills they have learned so far. 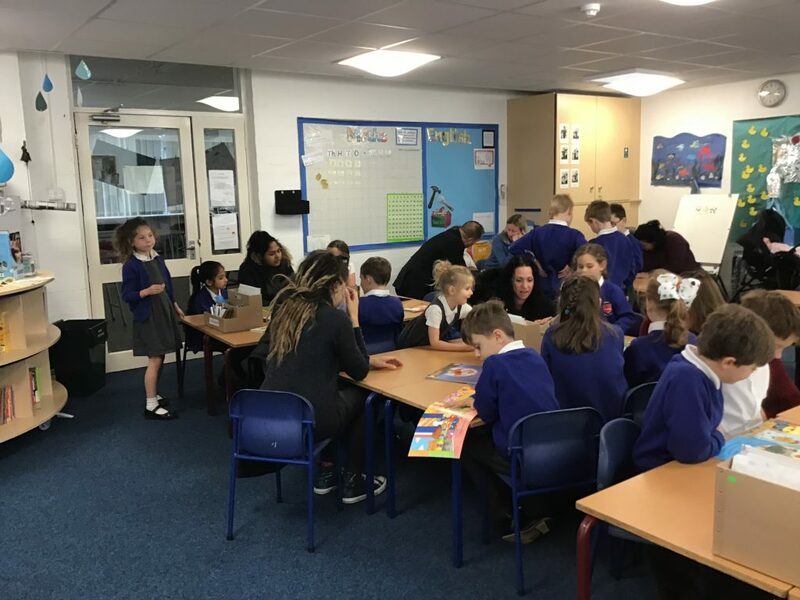 We enjoyed our visit from lots of parents during our open morning on Wednesday to observe a Book Talk session. 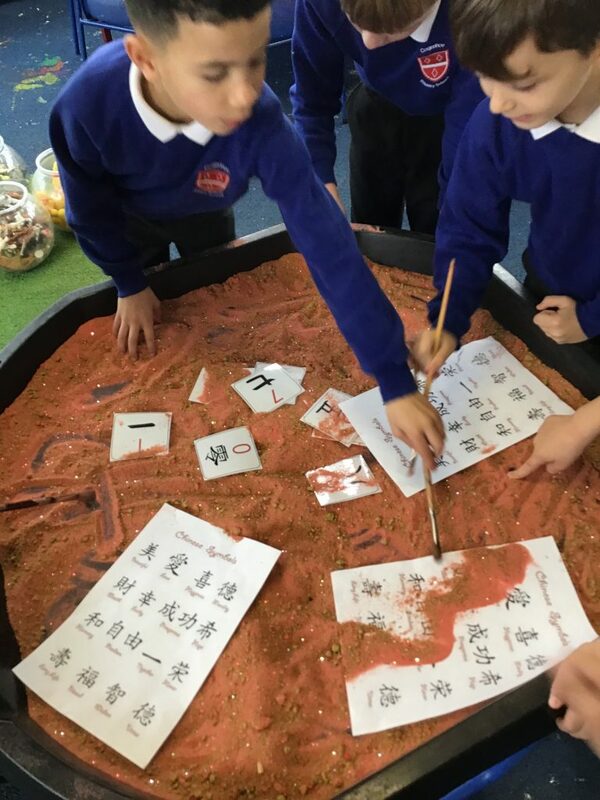 We all enjoyed your company and I felt that you were able to see the children really thinking carefully about their reading. 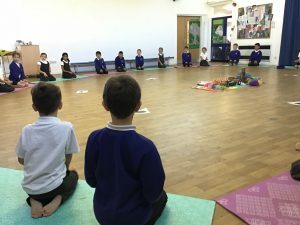 Following this, we observed a wonderful assembly given by two of our pupils (one from Year 3) about Diwali – The Festival of Lights, observed by Hindu’s, Sikh, and Jains around the world. The girls performed the traditional story via the medium of a puppet show, which was both professionally delivered and clearly enjoyed by all the staff and children in the audience. 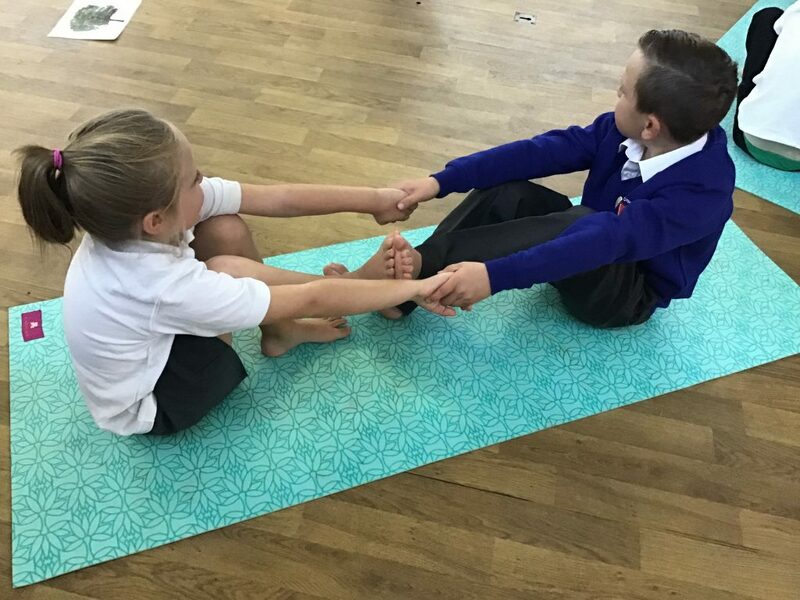 As a class, we tried to create the symbol of a lotus flower (a symbol of good luck, prosperity and purity), using origami – some were more successful than others, but those whose worked well, should float – I’ll wait to hear if they do! Today, as a school, we observed the two minutes silence for remembrance, being the closest school day. During the afternoon I introduced the children to William, my great-grandfather, and told them a little of his war journey (he survived, came home and went on to have a daughter, my grandmother – a happy ending). The discussion held following this was one of great maturity, inquisitiveness and compassion. I showed them his medals which were inspected in great detail and with extreme care. You should all be so proud of your children, I was. So, the first week back has followed the speed of the weeks before half term, it’s gone in a blur. I hope that you all had a great half term break and are recharged and ready to keep going all the way to Christmas. This week we have launched our new story – Grolt – A cautionary tale about greed. We shall be learning the actions and story over the next few days and I’m sure the children will show you if you ask them. 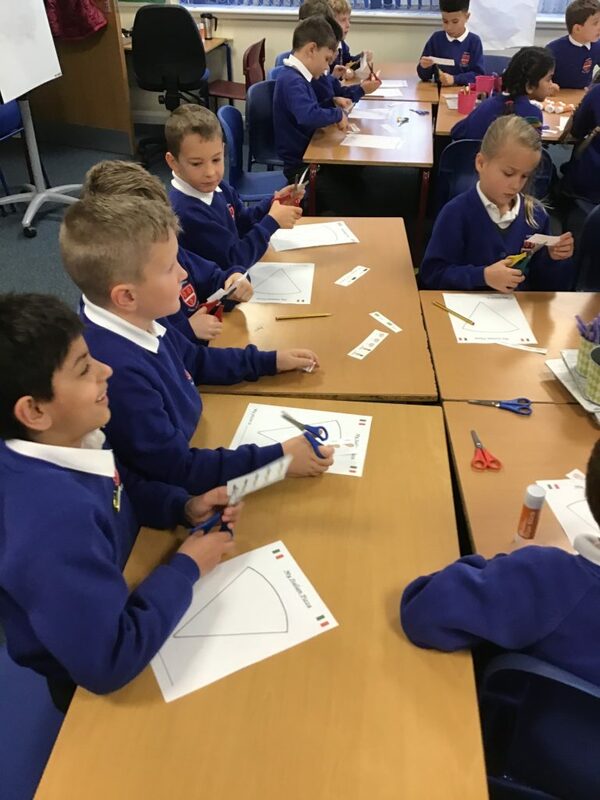 In Maths we are continuing with the skills required to add and subtract. In Music the children are composing their own piece that reminds them of water, using predominately their own bodies as percussion instruments, working as an ensemble. 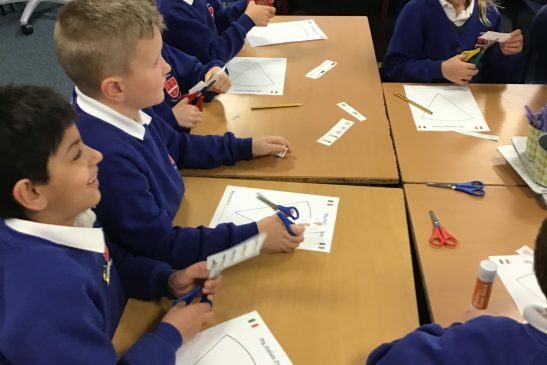 In Topic we shall move more into the theme of water, following our introduction to comparing England with Poland as linked with our last story in English. We made it! This always seems like a very long term for all concerned. Everyone settling into a new class, new teacher and new rules. All of this is exhausting. Year 3 have had more than their fair share of coughs and colds, so hopefully, we’ll be back up to full attendance in the new term (fingers crossed). As with every other week, the list of activities has not let up. This week was our Week to Wow! 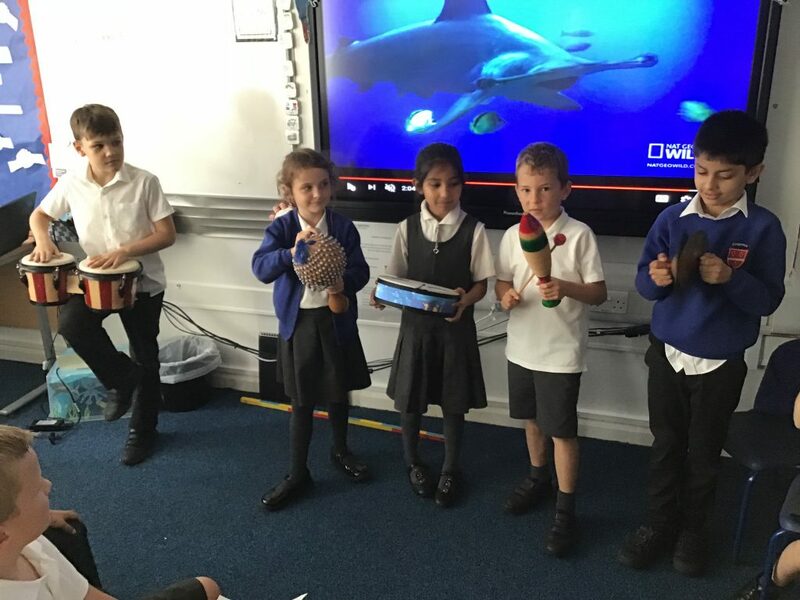 We have learned a lot about The Great Hammerhead Shark. Our Maths and English were also focussed on this as well. We have even made a soundscape to a video clip. However, our greatest achievement, has to be the creation of (what began to feel like a life-size model) of The Great Hammerhead. 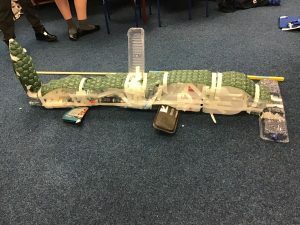 It ran as a military operation with children all disersed around the room sticking various bits of recycling together. As you can see from the photo below it was an epic achievement! 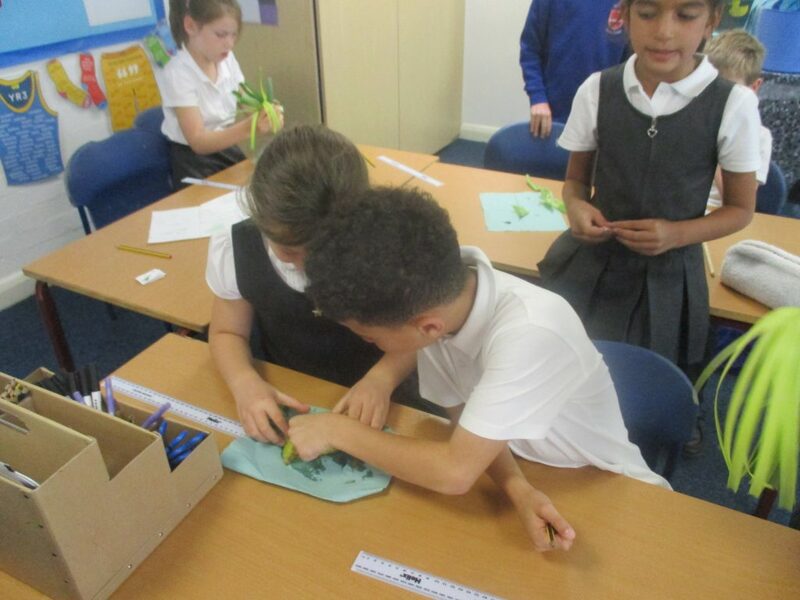 In Science they were able to dissect a flower head, which was a highlight of the week. Have a great half term everyone, don’t forget to practice your timestables – using the new Rock Stars website. 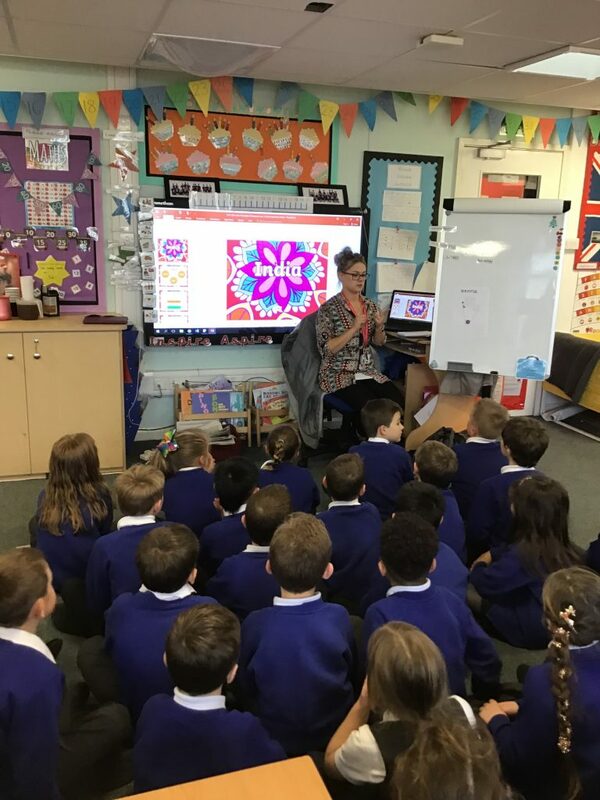 You can also continue to use Mathletics and, of course, please keep reading, it will make such as difference if the routine is kept up. Above all, have fun! We have spent lots of time practising our Harvet Poem and Song. 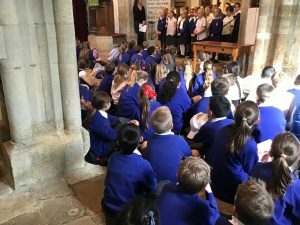 When we arrived in the church, after a blustery walk down, we listened to a story first about sharing. 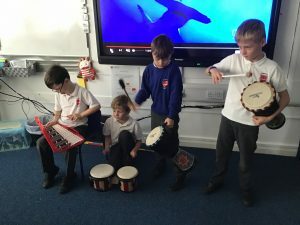 We were the first to perform, and although there was a little stage fright, I was very proud of their determination to keep going – even without music! We were definitely the bravest class. 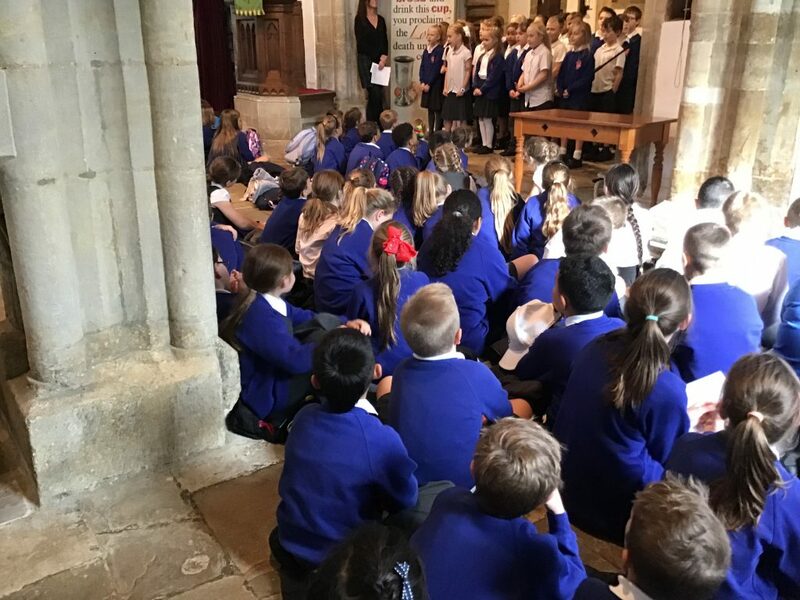 Although, I did not get any photos of them singing (I was hiding in the corner, prompting when necessary), I have a lovely photo of them showing respect to the other classes by sitting attentively during their performances. And, so, next week, our final week of the term. 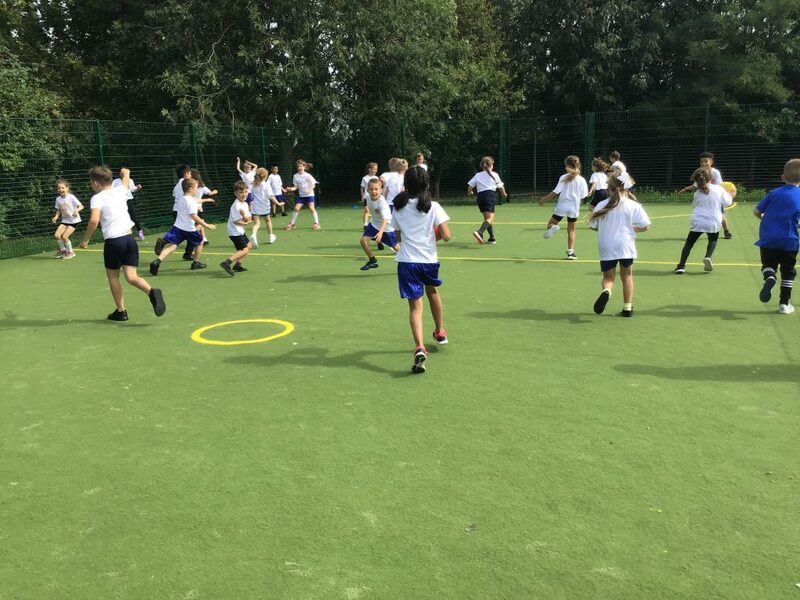 I’m so very proud of how everyone has settled in and is getting to used to the pace and intensity of the work in Year 3. As previously stated, if you have any queries, please do not hesitate to speak to me at either end of the day. Is it just me, or are we hurtling towards the end of term at break-neck speed? We had more visitors in to see us this week. 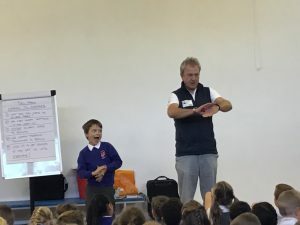 We began the week with a visit from Tim, who explained what a ‘Growth Mindset’ was. It’s about having the right attitude towards learning. We won’t always find every lesson easy but if we want to learn then we will. We listenened to him explaining the direct link between the amount of effort you put in and how this is related to the results you achieve. These results may not come quickly, but they will come. 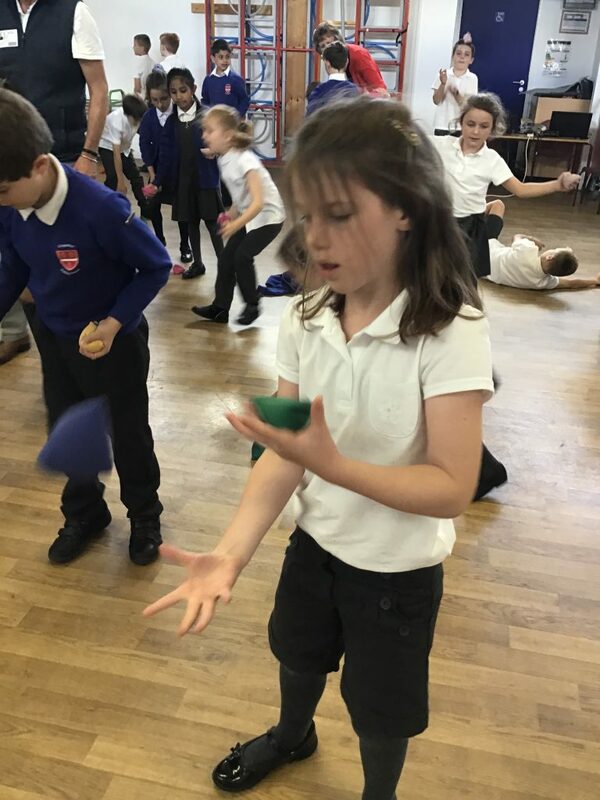 In Year 3, we have a phrase, where we don’t say ‘I can’t do it’, we say ‘I can’t do it…yet!’ This certainly applied to a cool trick with a pencil, which some of us mastered quicker than others, and as for juggling! Well, that really did take effort. Wednesday’s ‘Book and a Biscuit’ was very well attended, so again, thank you so much to those adults that were able to make time to join us. I’ve now read the same three pages of a Horrid Henry book to three different groups…I’m dying to know what happens next! 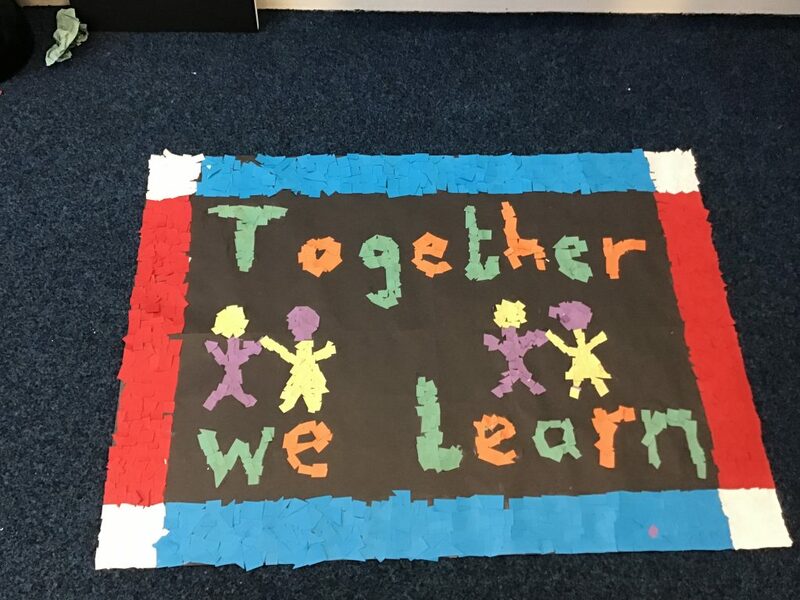 And as if all that wasn’t enough, we spent Wednesday afternoon creating a mosaic based upon the theme ‘School Life’. 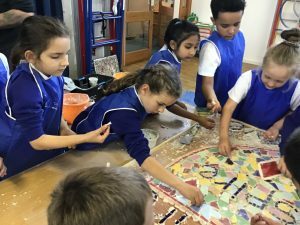 As a class we helped create the new school motto ‘Inspire, Aspire, Achieve’ whichwill soon be mounted outside for all to see. In class we made our own mosaic representing how we, as Class 3, learn. I hope that you like. What a crazy week we’ve had inYear 3! 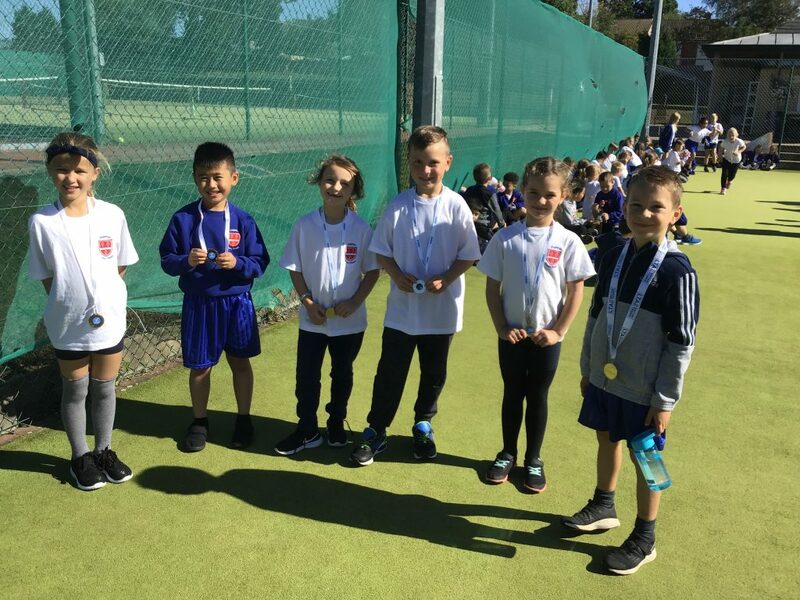 We were out on Monday to compete in a tennis tournament and although everyone had lts of fun and definitely improved as the morning went on, as always there can only be one winner, one silver place and one bronze-placed person. In this case there was one of each for the boys and the girls. On Tuesday, Mrs Lymn appeared to bring her packed lunch into Class 3 inthe afternoon! 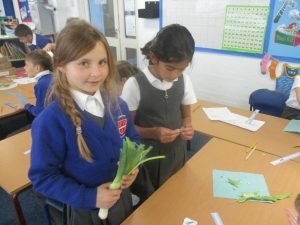 However, it turned out we were just investigating which parts of plants we actually eat. Did you know we can eat some flowers? 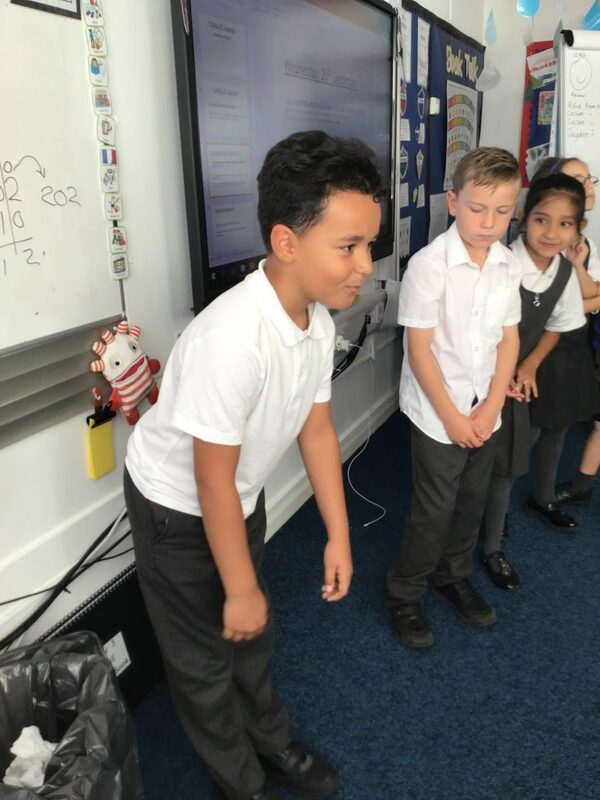 And finally, on Wednesday, in preparation for learning how to write speech into a story, we use drama to explore the different ways the King, Princes, Princesses and the Cobbler would have spoken. We listened to The Queen speaking and someone ho does not come from royalty to see if there was a difference. It turned not only was their speech different but it had an impact on our body language as well. Enjoy your training day! I’ll see you all next week. Wow! 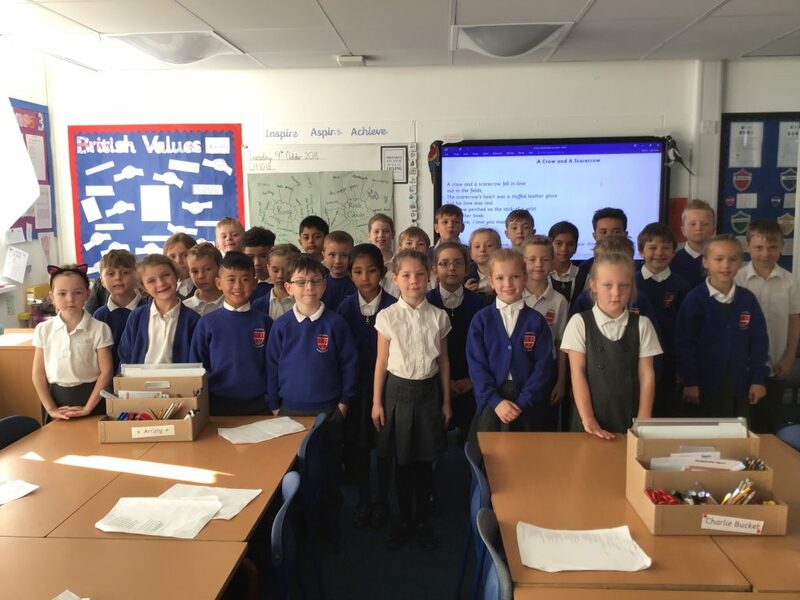 We’ve all survived another week in Class 3. 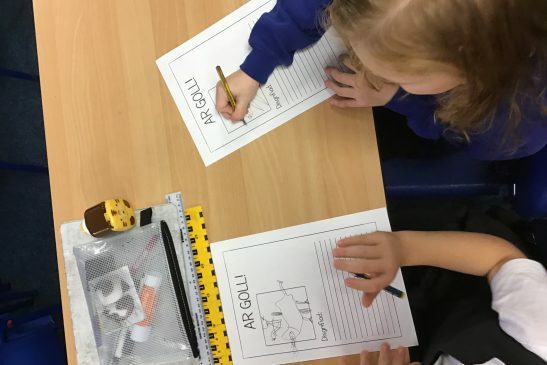 It’s been another busy week, we’ve been continuing to learn our story of Smok the Dragon and Krak the Cobbler in Literacy. 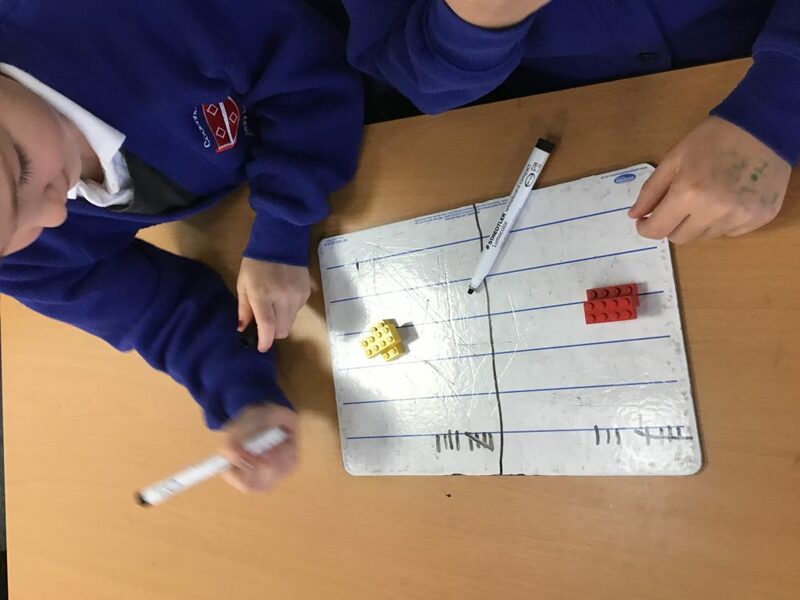 In Maths, our place value knowledge is improving ready to move onto addition very shortly. We also had a visit from Mark from Hotshots Basketball for a taster session. 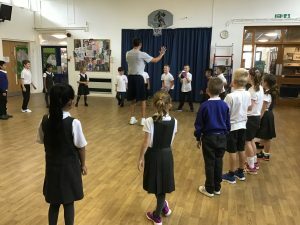 I was as surprised as the rest of the class to discover that we have a world champion basketball spinning pupil in our class! A photo is below of her in action! I’m very excited to attend the scarecrow festival on Saturday 22nd September 12-4. It will be my first scarecrow event so am not sure what to expect, but I’m sure it will be fun! – Hope to see you there. 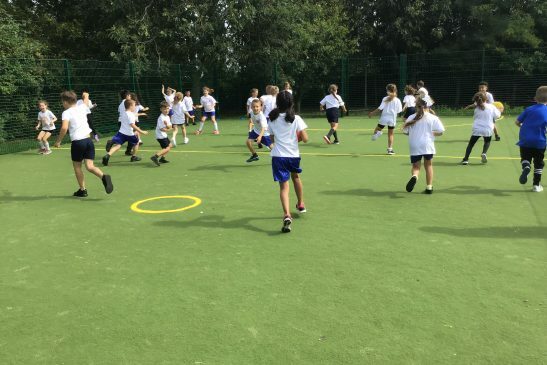 Incredibly, we’re almost at the end of our first full week back to school – doesn’t time fly when we’re having fun! 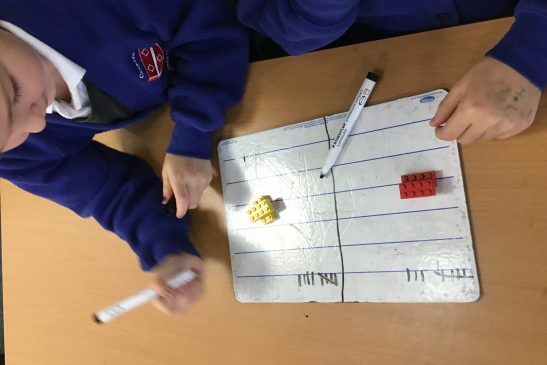 This week, we have been learning about place value in Maths. This shows us what value each digit represents within a number. In Literacy we have been learning a story, where a monster is defeated! I have had my drawing skills tested by all the children when drawing the story map. Today (Thursday) we had a visitor, who gave us a taster session for a new yoga club starting soon. I was very impressed when they learned how to breathe like a rabbit and then a lion. Finally we tried a pose with our pair, which, was quite tricky to do. Just a quick reminder, if you were unable to attend the parents evening and would like the welcome pack, please do not hesitate to speak with me and I will organise this for you. The slides shown during that evening can be seen if you scroll down the page. 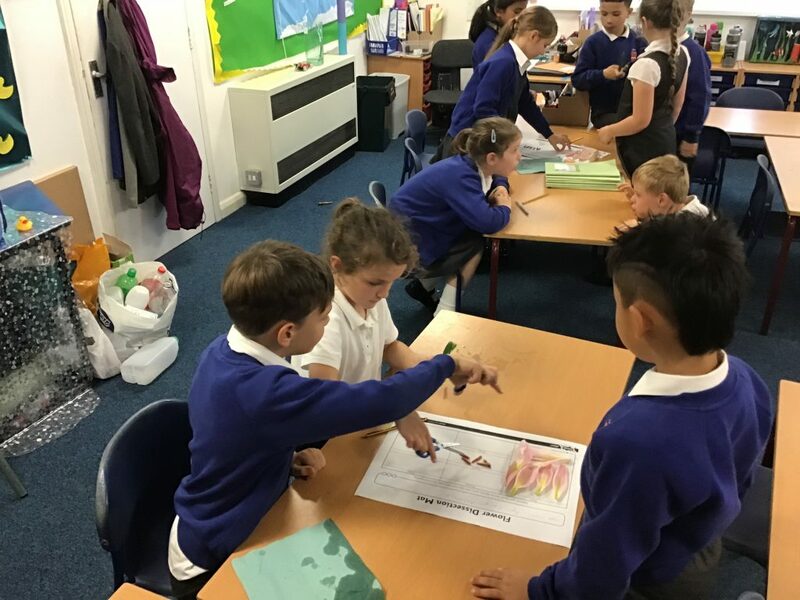 Topic this afternoon was a ‘Stunning Start’ to our World of Water topic. We investigated large ice-cubes, noticing what happened to them if salt or colour was added. We also put some celery into coloured water, but will have to wait until next week to see what happens there! And finally, we watched how water ‘walked’ from one cup to another through paper towels making the colours blend together to make new ones. As you can see, they all had a fantastic time. 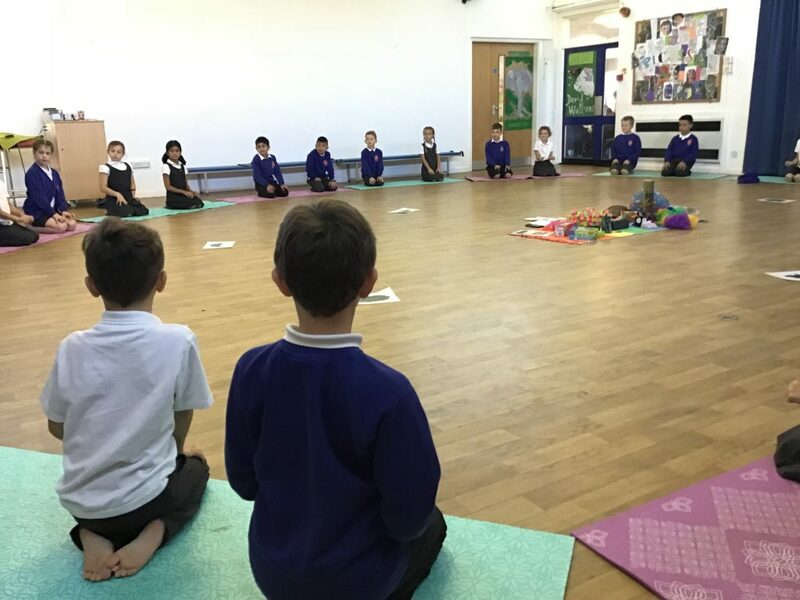 The photograph I am most proud of, as their new teacher, is the one that shows them all sitting, listening to instructions and showing our visitor respect, which is the school value for this term.